Dangle guitar pick earrings earrings made from the green with gold leaf guitar picks and two different colors of green pick below. 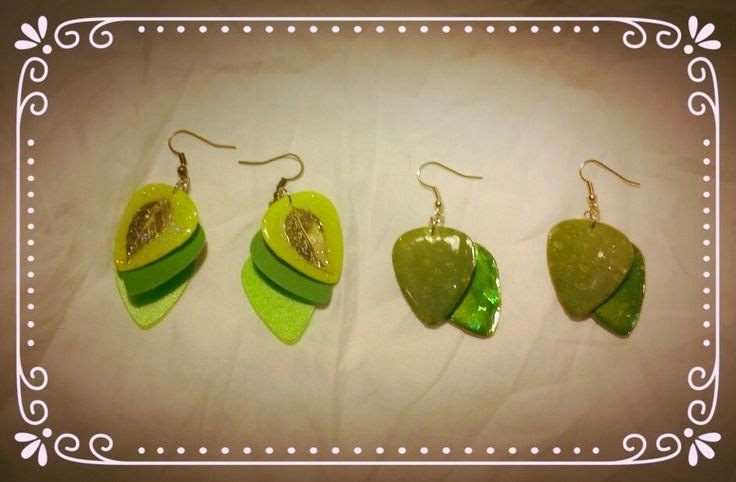 Eye catching guitar pick earrings of shiny green leaves with dew drops and a shiny green pick. ✓ If you are interested in snagging one of these, you can reserve them or send me an email.